The Prefecture of Rethymno is located in the centre of Crete, to the east of Chania. 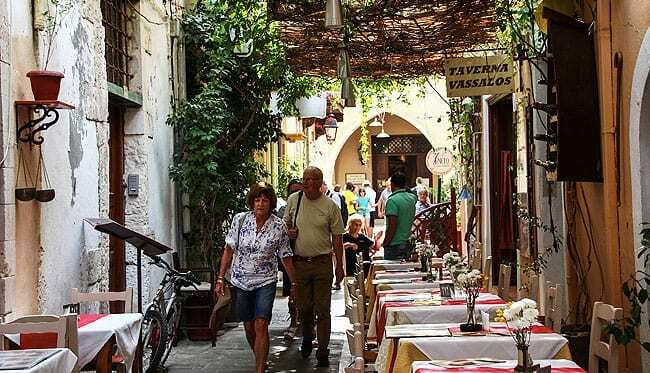 It has an area of 1.496 square kilometres, its capital is Rethymno and it is divided into four sub-prefectures: those of Mylopotamos, Agios Vasileios, Amari and Rethymno itself. This is the most mountainous of the prefectures of Crete, but at the same time it has the best beaches in western Crete, with abundant resorts and large-scale tourist units. 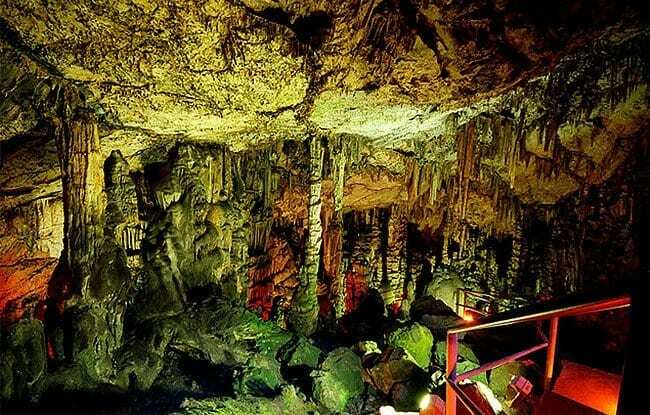 With the exception of the Ideon Cave, where the myths place the birth of Zeus, of ancient Eleftherna and of Axos, the Prefecture has little to show in the way of archaeological sites. Rethymno, capital of the Prefecture by the same name and the administrative and commercial centre for the surrounding area, is the smallest of the historic cities of Crete. The picturesque town has been untouched by earthquakes and has retained its blend of Eastern mystique and Western grandeur. There are numerous venetian houses and churches; the latter were converted into mosques during the period of Turkish rule. Clustered around its Fortezza (fortress), Rethymno will make an immediate and lasting impression on visitors, to which its disused minaret will undoubtedly contribute. Human habitation of the site occupied by Rethymno dates back to Late Minoan or Post-palatial times, as demonstrated by the finding in 1947 of a Late Minoan burial in the suburb of Mastaba to the south of the town. The autonomous and independent city of Rithymna later grew up on the same site in the fourth and fifth centuries BC. This city fell into decline as early as the third century BC, and by the end of the Roman period it was no more than a large village – a status which it retained through the second period of Byzantine rule. Rethymno began to develop into a sizeable town once more under the Venetians, after 1210, when its little harbour of Mandraki was laid out for the needs of the transit trade. Rethimo, as the town was known at that time, was the seat of the Venetian governor of the province. 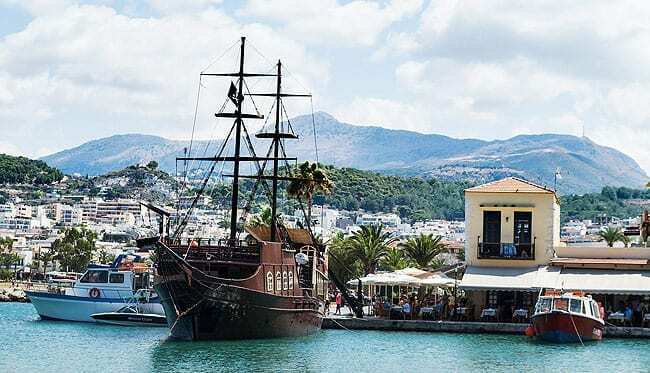 After the occupation of the town by the Turks in 1646, Rethymno disappeared altogether from the pages of history – despite the fact that it was the centre of administration in western Crete and the largest commercial port in the area. The people of Rethymno took part in all the revolutionary action to liberate the island and unite it with Greece. Rethymno consists of two parts, the Old Town and the New Town, the latter being an extension of the former towards the south. Since 1970, the town has also spread along the coast to the east, in the direction of the village of Perivolia. The town is carefully laid-out, with multi-storey buildings and an adequate number of parks, but the seafront is largely hidden by large hotels. The Old Town, however, has plenty of surprises for the visitor: Byzantine Venetian churches side by side with minarets, arched passageways, Venetian mansions, Turkish fountains, narrow alleyways and old houses with heavy wooden doors and windows. Also in the old is the little Venetian harbour with its tall houses, vaulted shops and Turkish cannon mounted here and there. As we walk through the old town, we will see – among other buildings – the Loggia, built in the sixteenth century. This is a fine, square Venetian structure, which was originally used as a meeting and recreation place for the local nobles and aristocrats. Now it houses the Archaeological Museum. The Fortezza, Rethymno’s fortress, stands on Palaiokastro hill to the north of the town. It was built in 1573 by Venetian commander Alviso Lando. Today only the walls have survived (restored), together with cisterns and a mosque with a huge dome: this was originally the cathedral of St Nicholas, which the Turks converted into a mosque. The Rimondi Fountain, on the north side of Petychaki Square, was erected in 1629 on the site of an earlier fountain by Rimondi, governor of Rethymno. Among other interesting buildings is the Bishopric, a neo-classical style; built in 1869, it has a large number of windows on two storeys. A Turkish school has survived next to the church of St Francis, built in 1796 as a girls’school, as has the Turkish baths, at 25 Radamantous St. The church of St Francis, a single-aisled wooden-roofed basilica which was used as a poorhouse in Turkish times, was restored in 1971 and impresses the visitor with its architecture and sculptural ornamentation. The Church of Our Lady of the Angels dates from the closing period of Venetian rule. It is also known as “Our Lady the Lesser”, and is located in the old town. Our Lady of the Angels is a three-aisled church without a dome, dedicated to St Mary Magdalene by the Dominican order of monks. The Cathedral of the Presentation of the Virgin, a new church modelled on the Church of the Annunciation on Tinos, has a fine carved wooden screen and good modern wall-paintings. It also preserves an outstanding portable Byzantine icon of Our Lady of Passion, unsigned and undated. 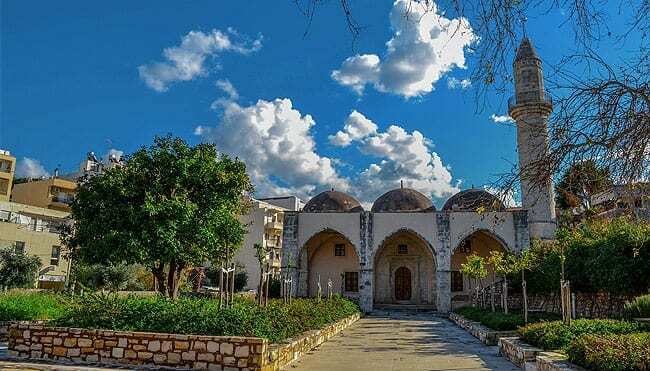 The Archaeological Museum, housed in the Loggia (on the corner of Katechaki Str and Himara Str), has a collection of exhibits covering the period from the Neoloithic era to Turkish times. The L. Kanakakis Art Gallery and Centre for Contemporary Art has work by the painter Lefteris Kanakakis and a collection of 45 paintings by other Greek artists deting from the period after 1950 (corner of Himara and Ioannou Melissinou Sts). 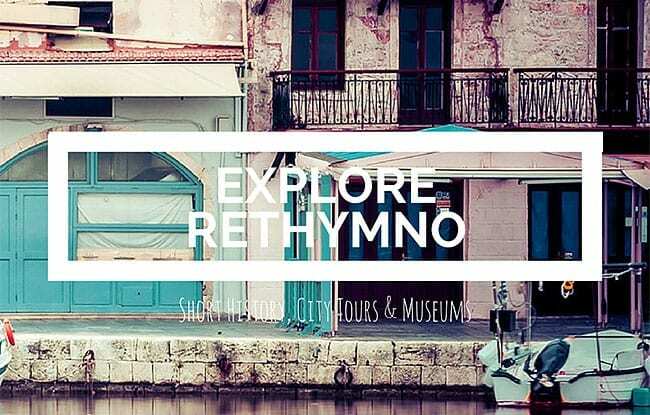 The Historical and Folklore Museum of Rethymno was founded in 1974 by the Historical and Folklore Association of Rethymno and has a collection of historical and folklore exhibits, woven goods and paintings. The Folklore Collection of the Lyceum of Greek Women is housed in a building belonging to the Lyceum at 18 mesolongiou St. The collection was founded in 1963 and consists of embroidery, woven goods, wood-carvings, local costumes, pottery and utensils.